If you are an American Express Cardholder and earn points for the money that you spend, then you have the ability to transfer these points over to your Delta Skymiles account at a 1:1 ratio. The Delta Skymiles program is a pretty good frequent flyer miles membership that is free to join and gives you a base level of 5 miles earned for every $1 you spent on flights with Delta. As you miles grow and your membership level increases you will start to earn more miles for every dollar you spend. You can find all of the info for earning miles for Delta flights here. You can redeem miles to cover the cost of rewards flights and be on your way to flying for free or discounted fares. But, what if you don’t have enough miles to get the free flight that you want and are also an American Express Cardholder thats earns points for the money you spend? Your American Express Card that allows you to accumulate rewards for the purchases you make can come in real handy if you are short a handful of miles for your free flight on Delta. You can transfer and convert your points into your Delta Skymiles account in a simple and easy manner, but there is one small drawback. Amex will charge you a rate of $.0006 per point transferred to domestic airline partners. This is apparently to offset the federal tax that American Express will be charged to transfer the points. Not a bad rate to pay for a free flight, but it is still something to know before transferring miles. Before you transfer any of your hard earned Amex point to your Delta Skymiles account you need to see how many miles you need to earn your free flight. Delta allows you to redeem your miles for any flight anytime with no blackout dates. Depending on which day you fly and how full your flight already is will determine the amount of points needed for a free flight. Simply log into your skymiles account click “Book a Trip” and select your dates for the day you want to travel. Then in the upper right hand side you can select “USD”, “Miles”, or “Miles + Cash”. You can click through all of these options to see what is available and how much your flight will cost you. Note: Delta does charge a fee of around $11 to use your miles for a rewards flight. If you find that you fall short for the amount of miles need for your flight you can transfer your Amex points over to your skymiles account at a 1:1 ratio. The value of your points and Skymiles all depends on which day you want to travel and how full the flight you want is. Lesser traveled days will cost you less points and as the flight you want starts to fill up, the amount of points it cost could go up as well. Personally I have received flights valued at around $500 for 25,000 Skymiles round trip. With a little bit of research and travel flexibility you should be able to find a good deal. Here is how to transfer American Express Points over to your Delta Skymiles Account. – Login to your American Express Account and click on “Use Points” under the Membership Rewards section on the right hand side. – Below a series of options will open up and select the “Travel” tab. – Next you will be given 2 options. You can “Transfer Points” or “Book Your Trip with Points”. Since you already know how many points you will need to transfer for your trip you can do a little research and weigh your options. You can select “Book your Trip with Points” to see how many points it will cost you to pay with just your Amex Points, the value is usually $0.01 per point. With this option you will still earn Delta Skymiles for your trip because, as far as Delta is concerned, you paid for your flight like you normally would. After you know how much in points your flight would cost, compare that to the amount of points you would have to transfer over to your Delta Skymiles account to get your flight. If the point transfer and Skymiles are a better deal then you can go ahead and transfer your American Express points over to your Delta Skymiles account. – Go back to your American Express account home page and follow the steps above again and this time select “Transfer Points”. 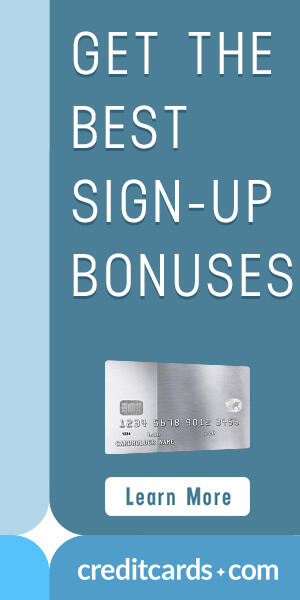 – Click on the “Link Now” tab under step 1 and you will see a screen summary of the rewards points you have accumulated. On the right side select the option to “”Link loyalty programs”. – You will get a summary of the programs that are already linked. If you Skymiles account is not listed there select “Link additional programs”. Note: If you do not already have a Delta Skymiles account you can select “Enroll Additional Programs” select Delta Skymiles and create an account. It will become automatically linked to your Amex Card. – Select “Delta Skymiles” and enter your Skymiles number along with the security info from your American Express Card. – Now that you Skymiles account is linked to your American Express Rewards Points account you can return by clicking on the “Travel” tab in the upper left hand side. – Enter the amount you want to transfer and click “Continue”. – You will have to agree to the $.0006 fee for transferring points by either having it charged to your card or using more points to pay for it. – Verify your American Express Card security codes one more time and you are good to go. Most transfers are immediate, but it may take up to 48 hours for them to post into your account. – Now you can return to your Delta Skymiles account, select the flight you want and use your new points total to cover the cost. All in all, not a bad process and after you do it once it should be straightforward. The same steps can be used to transfer points to any other participating loyalty partners.